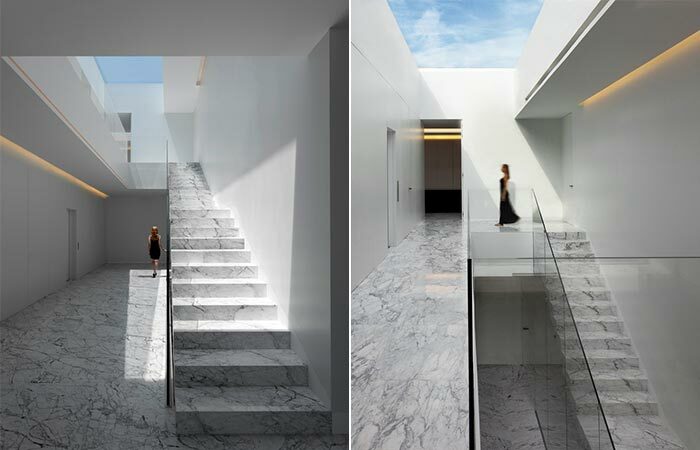 After featuring two magnificent houses by Fran Silvestre Arquitectos, a cliff house in Spain and House Balint, a minimalistic paradise, we have one more that caught our attention. 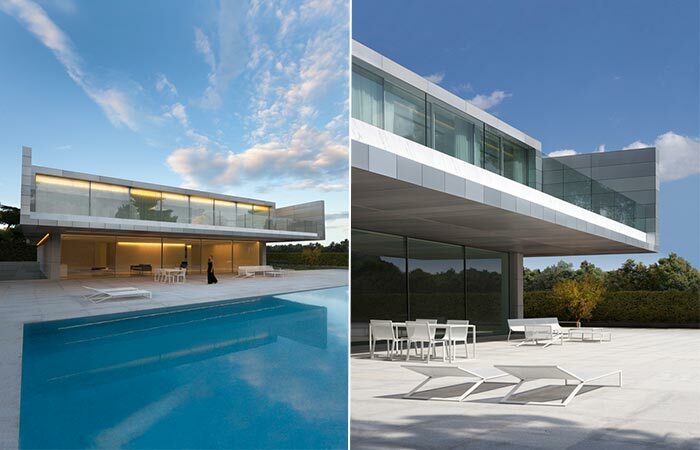 Aluminum House is located in Madrid, tucked amongst gardens and tall trees. 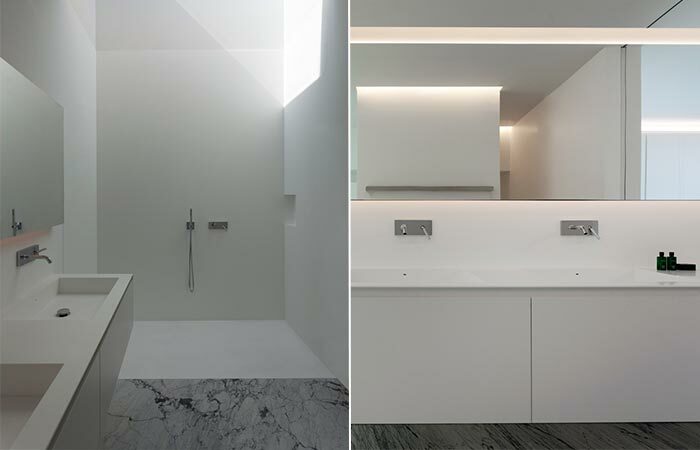 Minimalistic in its structure, this house is covered in highly reflective aluminum. Aluminum House features stone slabs and a big swimming pool. The entire side facing the pool is covered in glass panels, both on the ground and top floor. As for the ground floor, it is almost completely white, with marble floors, just a few pieces of furniture and a staircase leading to the top floor. 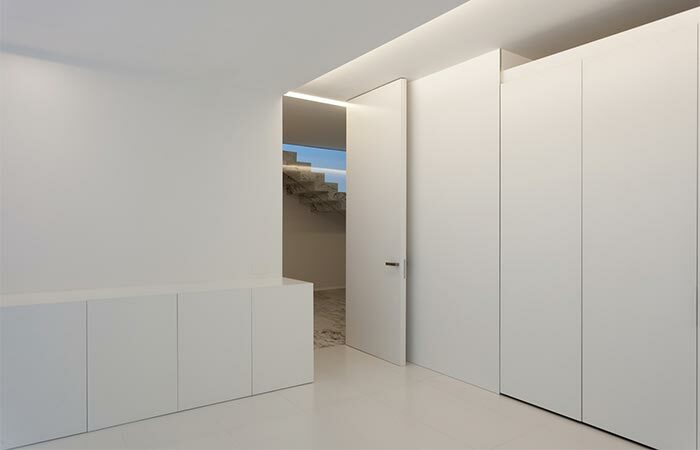 Aluminum House is designed by Fran Silvestre Arquitectos. The name comes from it being covered in highly reflective aluminum. 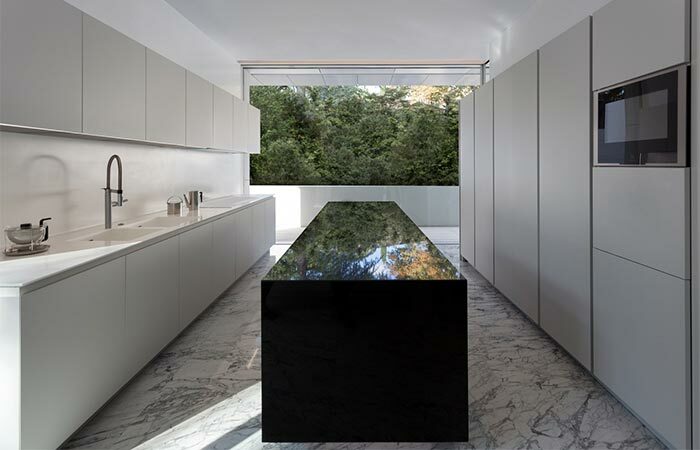 The house is located in Madrid, in a peaceful area surrounded by trees and plants. 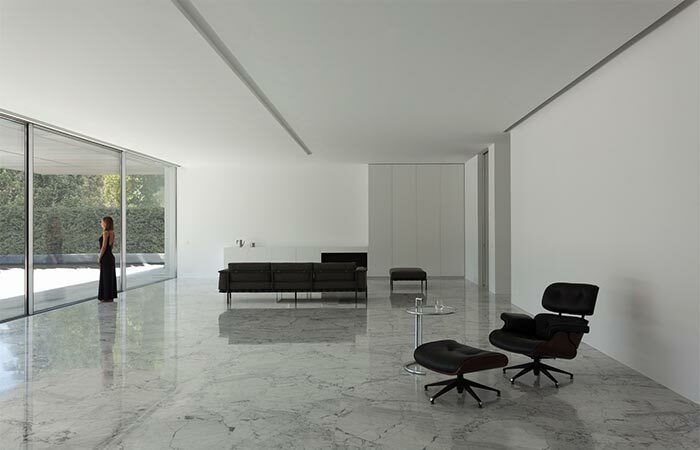 The floors are made of white and black marble. 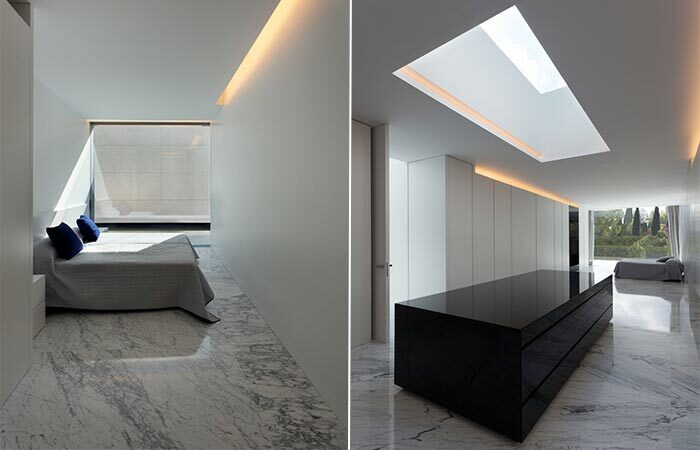 The interior of the house is very minimalistic, with just a few black pieces of furniture on the ground floor that provide a contrast. The interesting thing about the design is that even though it’s a two story house, because of its horizontal structure it doesn’t look very tall. The top floor is where the bedrooms and a bathroom are located. Throughout the house, there are lots of built-in storage spaces, which is both practical and maintains the clean look of the house. The black and white contrast is visible in the kitchen as well. The master bedroom on the top floor features a lot of natural light. The bathroom with the elegant and clean look. Aluminum House has plenty of built-in storage spaces.